We just returned from a great weekend trip to the California Central Coast. We spent Friday and Saturday nights in a house my parents rented just above Edna Valley, a wine producing region just south of San Luis Obispo. The area has a lot to offer–probably one of the best year-round climates around, beautiful picturesque landscapes, an excellent beach, and amazing seafood. It’s also a little hard to get to for most people (the nearest major airport is over 80 miles away), which might make it a little less touristy than other locations in California. Still, there were plenty of crowds on the beach and at the wharf in Morro Bay. The undisputed highlight of the trip was actually the rental house. We choose the house after researching for a place to stay (a little bit last minute) on vbro.com. Renting a place can be cheaper for couples traveling together. Often times, rentals are especially attractive when the rental period is at least a week. We found a great looking place that was competitive with hotel prices for just 4 nights (my parents stayed the other two alone), even after considering the cleaning fee. 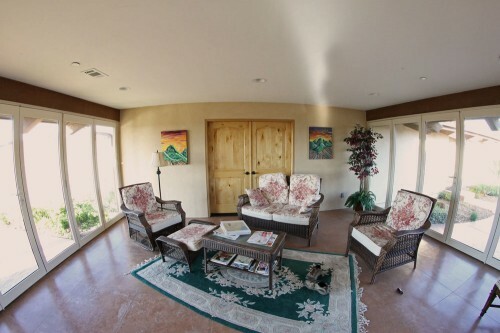 The house we rented was called Casita Las Brisas, and is situated above the Edna Valley. I included a snapshot below of the view from just outside the house. 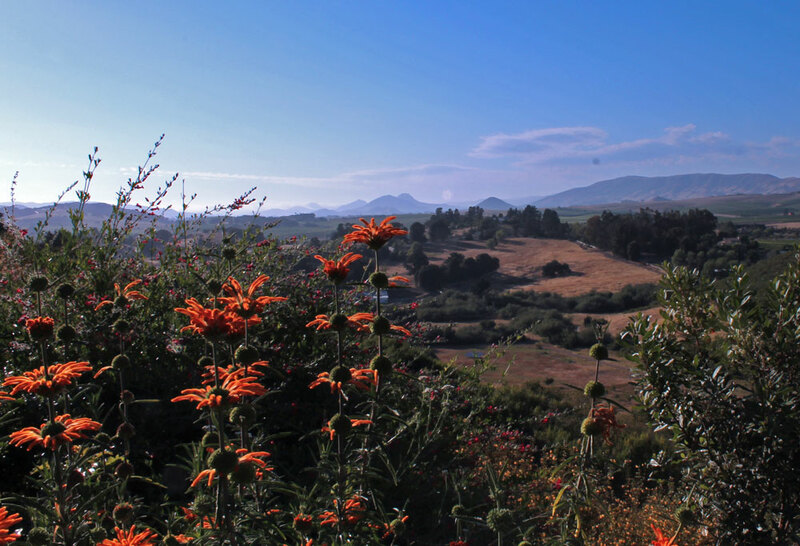 In the view from the house, you can see the Nine Sisters in the distance, a chain of volcanic peaks and hills in the area. In the foreground is a sample of the many flowers that were planted around the house to attract hummingbirds. I’ve never seen so many hummingbirds in my life! During our short stay there, we managed to cover the area fairly well. We started our first day off with wine tasting at Wolff Vineyards in the Edna Valley below our rental. We were pleasantly surprised with their “Old Vine” Chardonnay, which is actually grown without irrigation. We then travelled north to Morro Bay. We were very surprised by the large crowds at Morro Bay, but with the help of the local Tourist Information office, we found an excellent eatery in Tognazzini’s Dockside Restaurant. They had plenty of local fish on the menu, and the Halibut Cheeks Picatta they served as a Special when we visited was very memorable. Yum! 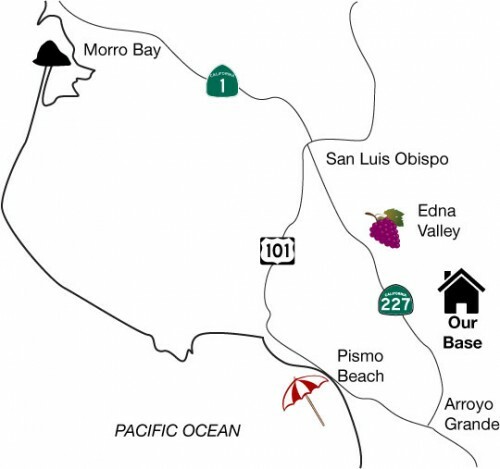 A great activity for all travelers to Morro Bay is kayaking. The water is very calm in Morro Bay, and there is plenty of scenery and sea life (including a sea lion dock) to make an hour of paddling very interesting. At $12 for the first hour, kayaking is pretty affordable as well. One fun adventure is to travel to the sand spit across the bay, which is somewhat of an uninhabited island. Another day was spent at Pismo Beach. 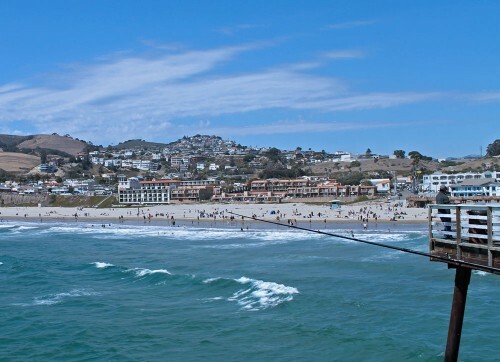 In addition to more good seafood and white sandy beaches, Pismo also has an impressive pier. We noticed plenty of fisherman and several domesticated pelicans on the pier. 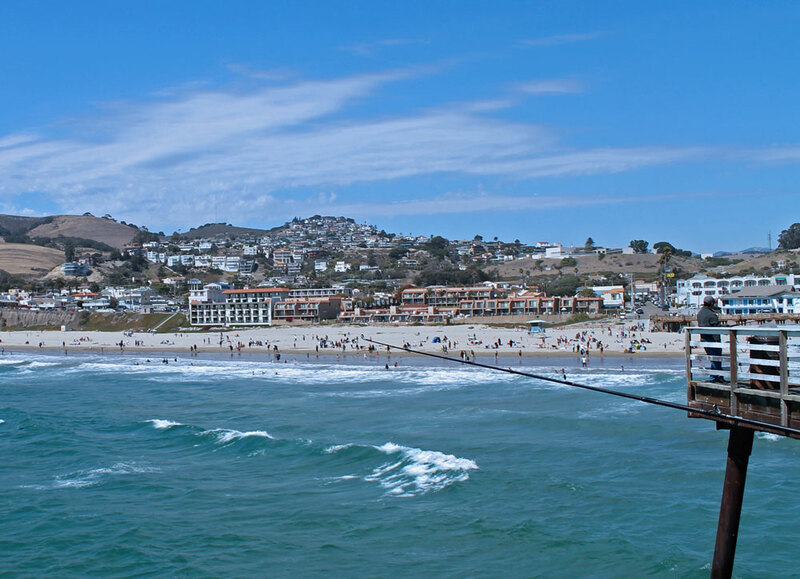 Looking back, the pier has an excellent view of the beach, including the houses situated on the hill right above the town. Even with all the great things to do and see in the Central Coast, we found it to be an excellent destination to just relax. The perfect climate and picturesque views make a morning or afternoon outside very refreshing. We had one very exciting bonus, in that our rental had a breezeway that could be completely opened-up (shown below). It allowed us to take refuge from the sun, but enjoy the cool breezes and wildlife sounds from outside. We can’t stop thinking about how relaxing our short little trip to Central California was! We can’t wait to come back! This entry was posted in Travel by Ryan. Bookmark the permalink.